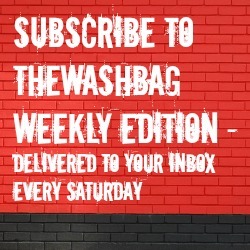 Washbag Podcast: Episode 36 – Things are going well, for once.. Host Ron Smith is joined by a panel of four guests to discuss latest events at the County Ground – Link Sport’s Sam Morshead, Alex Cooke, Daniel Hunt and Iain Watkins. With no game this weekend and a welcome break, the five review the opening two months to Town’s 2014/15 season. Expectations have shifted from relegation or mediocrity to promotion, or at least giving a solid account of ourselves in the division. The main topics include the moments of the season; player of the season to date; the factors against Town maintaining their current form; and a welcome news of contracts being extended to at least one player, potentially more. Also with Sam on the podcast it’s a welcome time to ask why he left the Swindon Advertiser, plus we look at the new ticket initiative and the forthcoming matches. The next podcast will probably return in a fortnight after the Rochdale and Colchester United games.